When you think of seeing an eye doctor, it is easy to get confused as to the differences between optometrists and ophthalmologists. While they provide some of the same services, there are also several major differences. Once you understand these differences, it’s easy to determine when you need to see an optometrist and when a visit to the ophthalmologist is in order. 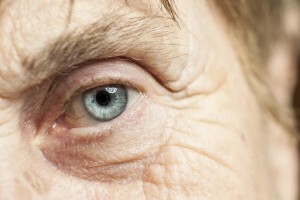 As we age, our eyes age right along with us. It’s a natural part of getting older, but that doesn’t make it any less scary. In fact, vision loss was rated as the No. 1 health concern among aging adults, according to a recent study out of the Wilmer Eye Institute at Johns Hopkins University School of Medicine. We all fear losing our independence, but there comes a time in all of our lives when we find ourselves relying on another person, often an adult child, to help with day-to-day activities. It’s nothing to be ashamed of. It’s a normal part of aging, especially when decreased vision is present. The important thing is learning how to work together, while also respecting one another’s independence. 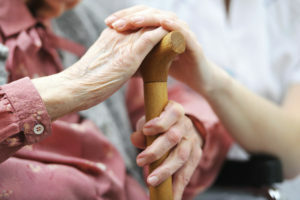 Currently, over 65.7 million Americans provide care for a family member or loved one, according to the National Alliance for Caregiving, and 36% of those are caring for an elderly parent. And it’s not always easy, especially if the situation is still very new. There can be pushback from both sides as parent and child learn to accept their new roles and work together. But as you both settle into this new dynamic, it is important to look at the bigger picture, especially in terms of vision health. Macular Degeneration: The leading cause of irreversible blindness in people over the age of 65, Age-Related Macular Degeneration (AMD), is a progressive eye disease that causes damage to the Macula, which is the most concentrated central portion of the retina. AMD causes the light-sensitive cells in the Macula to break down and die, affecting central vision, causing blind or blurry spots that grow as AMD progresses. This can begin to make simple, everyday tasks – like reading and driving – difficult or even impossible. Additional symptoms and warning signs include straight lines look wavy and a need for more light. Glaucoma: Glaucoma is the result of increased intraocular eye pressure (IOP) and damage the optic nerve, the nerve that carries visual information from the eye to the brain. Glaucoma is the second leading cause of blindness globally, after cataracts, and affects roughly 60 million people worldwide, including over 3 million Americans. What’s scarier is that roughly half of those people – nearly 30 million people – don’t even know they have glaucoma, because there are no initial warning signs, no symptoms. Common symptoms and warning signs include gradual loss of peripheral, or side, vision; difficulty driving at night; and loss of contrast. 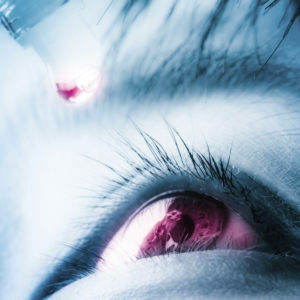 Cataracts: It’s estimated more than 24 million Americans, age 40 and older, have cataracts, a cloudy or opaque area in the normally clear lens of the eye, which is located behind the iris, the colored part of the eye. Normally, the lens focuses light on the retina; however, as we grow older proteins begin to build up in the lens, forming protein clumps, which prevents light from passing clearly through the lens. This causes images to appear cloudy or blurry, especially at night. Common symptoms and warning signs include hazy vision, difficulty driving at night, double vision, trouble distinguishing colors, and sensitivity to glare. Diabetic Retinopathy: If you have diabetes, you are not alone. More than 25.8 million Americans, 8.3% of the population, have diabetes. These people are also at risk of developing Diabetic Retinopathy, the most common diabetic eye disease. This is why it is important to not only seek regular medical care, but also annual eye exams. Believe it or not, diabetes is the leading cause of new cases of blindness. Common symptoms and warning signs include blurred or changing vision, difficulty reading, floaters, and loss of central or peripheral vision. 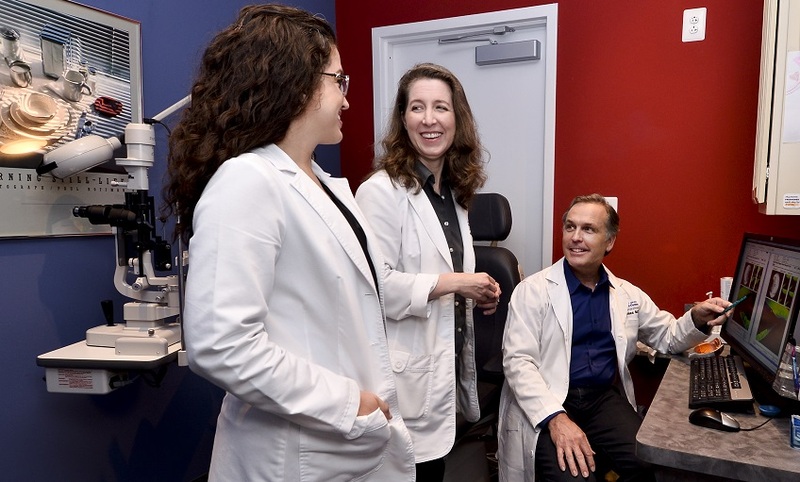 “You should be able to truly live connected to the world around you and sight is a huge part of that,” says April Pevear, Patient Care Specialist at Anne Arundel Eye Center. While minor, gradual changes in vision can be a natural part of the aging process, sudden or severe changes are often a warning sign of a more pressing issue. There are several warning signs to potential vision issues that you should look for. 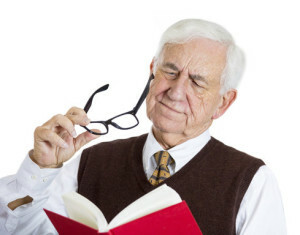 These include gradual or sudden vision loss, blurred or hazy vision, double vision, eye pain, seeing flashes of light, eye often twitches, halos around lights, discharge from the eye, waviness of vision, changes in the color of the iris or clarity of the cornea, trouble distinguishing faces, and difficulty performing everyday activities, such as reading. If you notice these or anything else that seems out of the norm, it is important to contact your ophthalmologist, especially if these warning signs are severe and persistent. How Often Should an Aging Adult See an Eye Doctor? Even if no obvious warning signs are present, the American Academy of Ophthalmology recommends adults over the age of 65 have a complete eye exam every one to two years. Depending on vision health, an ophthalmologist may recommend more frequent visits, especially if one of the aforementioned conditions is present. A person may also need more frequent eye exams if they have certain medical conditions, like diabetes or high blood pressure, which may put him at higher risk for some eye diseases. 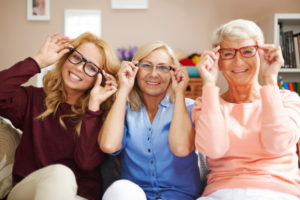 At the Anne Arundel Eye Center, we do our best to partner with aging adults and their families and caregivers to provide the highest quality eyecare. Staffed by caring and knowledgeable professionals, the Anne Arundel Eye Center is a regional leader in the diagnosis and treatment of glaucoma and cataracts. Our state-of-the-art treatment center is dedicated to making the best eye care accessible to everyone. If you have any questions, please contact Dr. Samuel Boles, Dr. Nicole Kershner Regis, Dr. Kathryn Turner, and the eye care specialists here at AAEC by calling 410-224-2010. AAEC is staffed by caring and knowledgeable professionals who will help guide you on your healing journey. Did You Know Rheumatoid Arthritis Can Affect Your Vision?